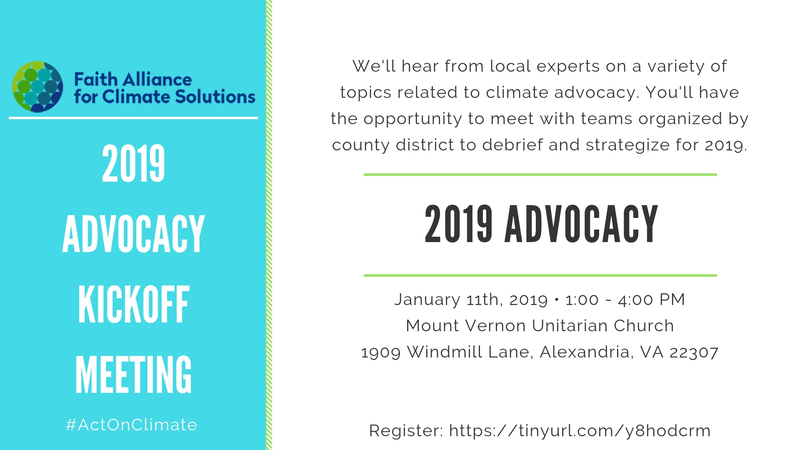 Join FACS as we launch our advocacy in 2019 with our annual FACS Community Council Advocacy Kickoff meeting. We'll hear from local experts on a variety of topics related to our climate advocacy. You'll also have a chance to meet with teams organized by county district to debrief, strategize and plan for 2019. Never been involved with FACS' advocacy before? This is a perfect opportunity to come and learn! You will leave equipped with the key issues impacting our county, and will have an opportunity to take action before you leave. Join us as we develop local solutions to the climate crisis!